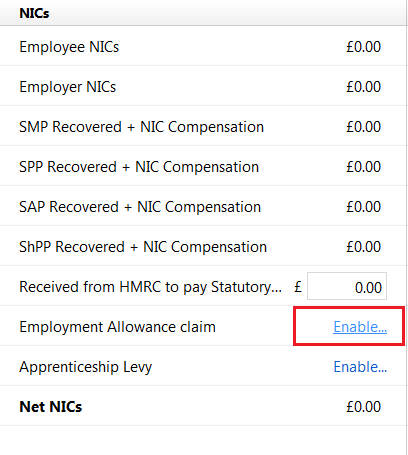 If you are migrating to BrightPay mid tax year, and still have some Employment Allowance left to claim, BrightPay must be instructed of this and also of the amount you still have left to claim. This will ensure that BrightPay doesn't allocate the full annual limit again to you going forward. 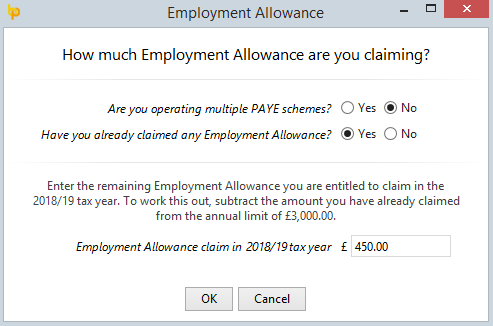 Please note: if you have already claimed your full annual limit for the tax year in your previous software, no action is required in BrightPay. It is thus important not to enable the employment allowance in BrightPay, to ensure that you are not given the full annual limit again.